Probably of Saxon origins, this small church was built in the 12th century as a chapel for the farming district of Wyke, or Weeke, as it is known today. (The name Wyke, usually pronounced ‘Wick’, continued in use until the 16th century, when the alternative spellings of Weeke or Weke became common.) Well into the 20th century there was only a gravel lane outside, with hardly any houses nearby – just a few cottages with their pond (still here today, having been restored in the late 1990s), the parsonage and the manor across the way (now incorporated into the housing development of Weeke Manor). The little chapel served St Mary of the Valleys, which is thought to have stood near the railway station, and St Anastasius, probably on or near the site of present-day St Paul’s. Winchester had sprawled outside the city walls until the Black Death drastically reduced the city’s population in 1348, when these places of worship fell into ruin. 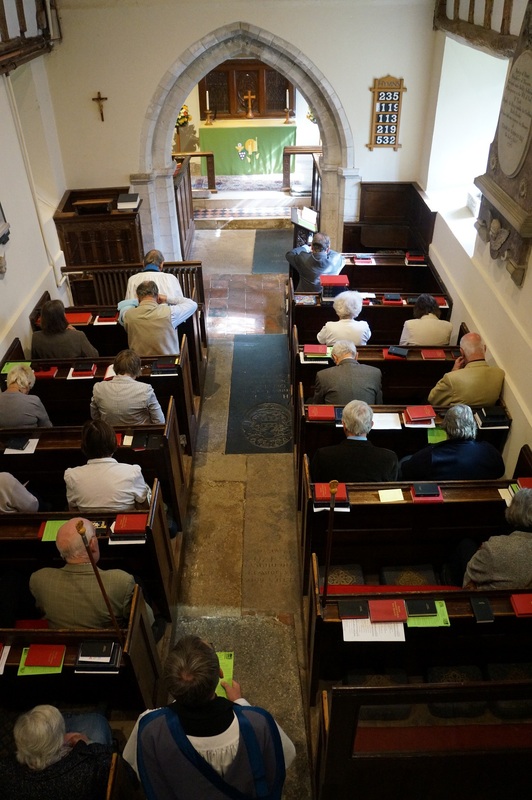 In the 15th century a re-organisation was undertaken; St Matthew’s was restored and became the parish church for the hamlet of Weeke. 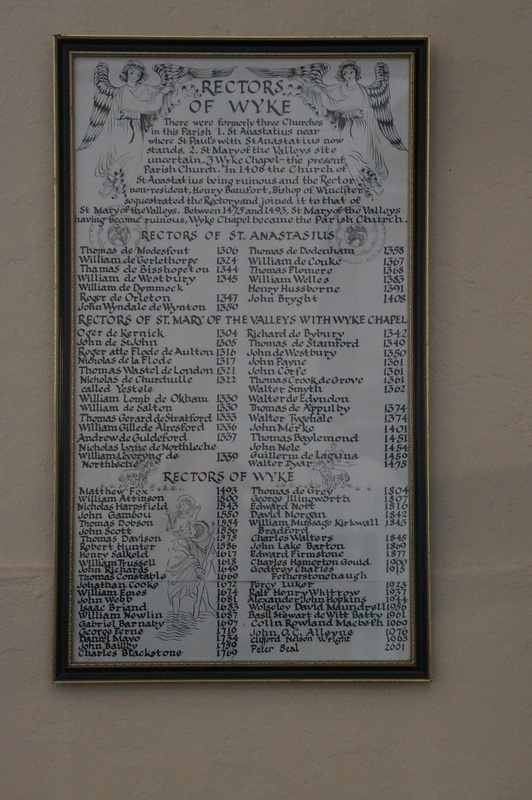 The first incumbent of the new parish, the Revd Sir Matthew Fox, took up his duties in 1493. For the next 400 years the parish church of St Matthew’s, or St Mary’s as it was sometimes called, was adequate for its small rural community, despite a maximum capacity of 60. During that time the nave received a fine collar rafter roof and a bell turret was erected. 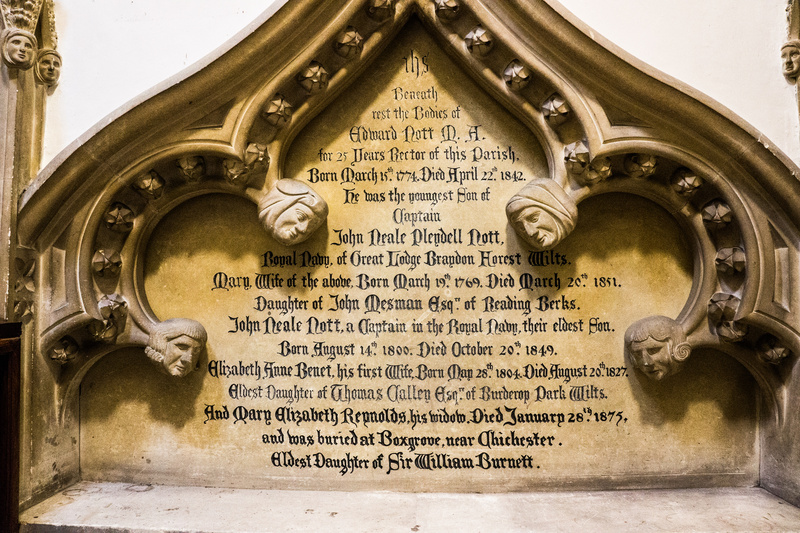 In the Victorian period an organ loft and pews were added and a vestry was built on the north side by Winchester architect Owen Browne Carter as a memorial to members of the Nott family. Fragments of medieval glass remain in the east window and tiles from the Middle Ages have survived in the floor, as well as several monuments and graves of interest, including a late medieval brass of St Christopher and a memorial inscription to Dr Harpesfelde (d. 1550), rector and former Commissary-General to the bishop, Cardinal Wolsey. With the coming of the railways and the expansion of Winchester, a larger ‘daughter’ church, St Paul’s, was built near the station between 1870 and 1910. Then, with the development of the Weeke Manor estate in the 1960s, St Barnabas was constructed; it became a separate parish in 1989. 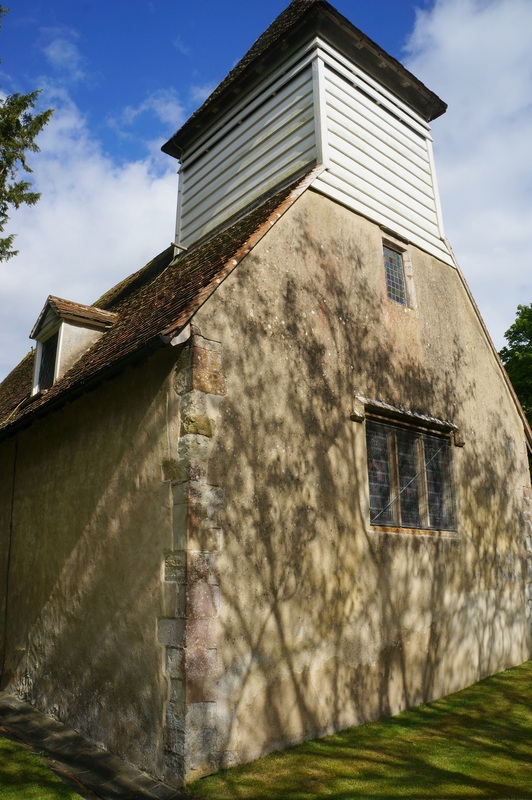 With its history spanning the centuries, St Matthew’s is Grade II listed as a simple medieval village church with many points of special interest.